The change in the weather has allowed us to start spending more and more time outdoors. Hubbie and I hiked twice last weekend and on one of the days we even managed to drag the boys away from their computers to join us. It has been such a relief after months of being cooped up inside to start enjoying the great outdoors again. It will be better in a few weeks when the spring flowers start to bloom and the leaves come out on the trees and everything will look so much prettier. We spent lots of time in the garden, while a battle of wits ensued between me and a hungry raccoon! and we rounded off the weekend with our first barbecue of the season. 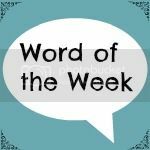 This entry was posted in Word Of The Week on April 25, 2014 by Lou. Great News Lou! We too had our first BBQ on Monday, started off fine, but then darkened a bit and finally started to spit with rain, but at least we did it! Here’s to many more. Wow those photos are great (especially the wine) 😉 It’s always nice to get back outdoors again after a gloomy winter.